CAN SHOOTER is completely addicting & awesome game of all time! All you need to do is to make a good timing decision to throw cans into the trash box. 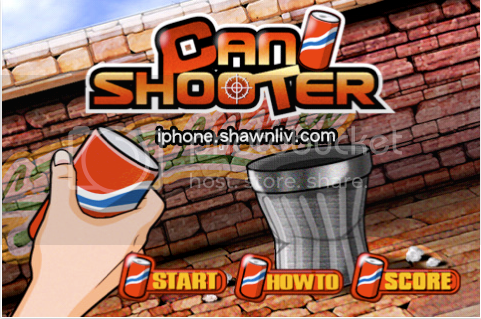 Playing CAN SHOOTER becomes a passion with you. Once you start you won’t be able to quit! Just throw it to the rhythmical music! – Be careful to the direction of the wind. It also decides your aim. When the can hits the edge of the trash box, the box moves left or right according as your miss shot. – Try to get points without touching the edge of the trash box, so that the SHOW TIME gauge is charged. Once the gauge is full, your SHOW TIME begins! The wind stops for a while and it’s the best chance to add points. Pull yourself together and score as many as you can in the time limit especially before the SHOW TIME expires. – When you move on to further stages, the point you need to clear the stage is increased and the wind condition is getting harder. So, Let your show time begins Now!